The Congress party spokesperson Abhishek Manu Singhvi on Thursday said that the allegations by the CPI (M) in regard to his Rajya Sabha nomination papers are "defamatory and malicious". 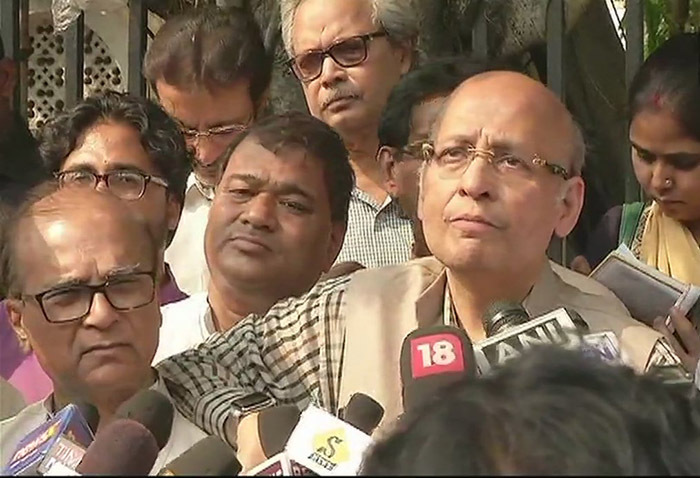 Kolkata: The Congress party spokesperson Abhishek Manu Singhvi on Thursday said that the allegations by the CPI (M) in regard to his Rajya Sabha nomination papers are "defamatory and malicious". Singhvi filed his nomination from West Bengal. "CPI (M)'s allegations are defamatory and malicious. Millions of documents have my birth date mentioned as 24 Feb 1959. Since CPI(M) knows of its defeat, they are challenging 2006 declaration on a typo error, without challenging 2012 or 2018 declaration," said Singhvi while talking to reporters. The CPM on Wednesday alleged that Congress Rajya Sabha candidate from West Bengal Abhishek Manu Singhvi's nomination papers were flawed and that his candidature should have been cancelled. According to the allegation, the date of birth given in the nomination papers did not match up to what Singhvi had said in 2006. CPM said that they have sent a letter to the Election Commission on the same. Singhvi, however, clarified that such situation arose due to "clear typographical error". The Rajya Sabha polls are scheduled for March 23.